Since opening our doors in 1981, Ronald McDonald House of Dallas has served over 38,000 families. 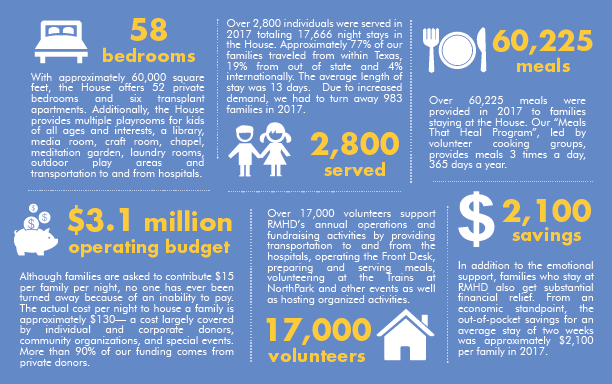 Over 2,800 individuals were served in 2017 totaling 17,666 night stays in the House. Approximately 77% of our families traveled from within Texas, 19% from out of state and 4% internationally. The average length of stay was 13 days. Due to increased demand, we had to turn away 983 families in 2017 http://matthewshanton.co.uk/mapca1. Sign up for our eNewsletter to read inspiring stories from our families and keep up to date with RMHD news click here. 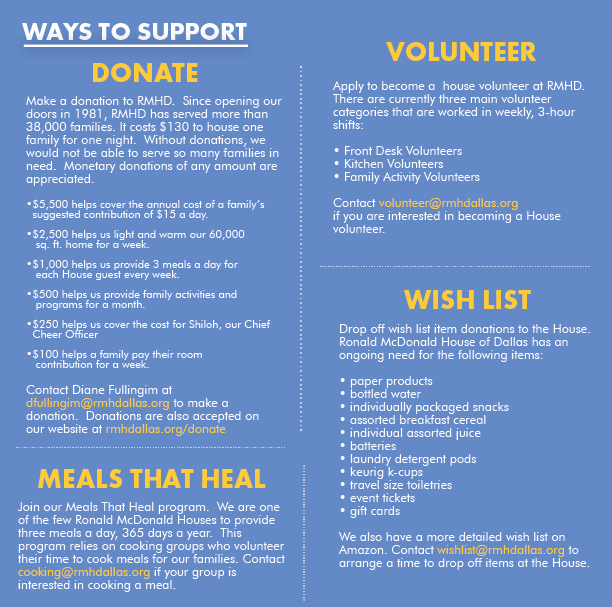 http://professionalhouse.com.au/map10 Sign up to get news and updates about Ronald McDonald House of Dallas delivered to your inbox.